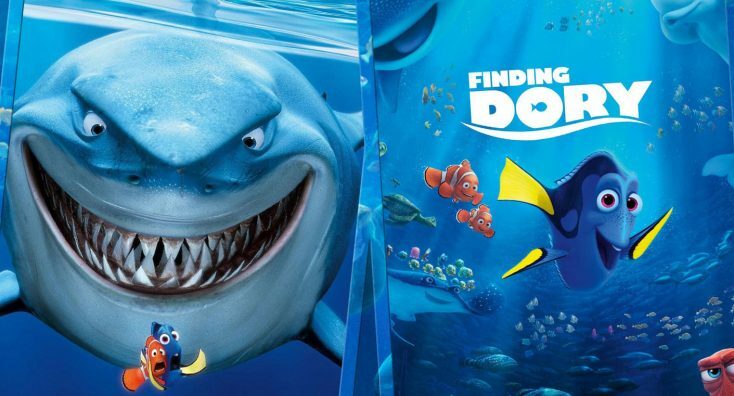 ‘Finding Dory, ‘The Syndicate,’ ‘Wentworth,’ More on Home Entertainment … plus giveaways! 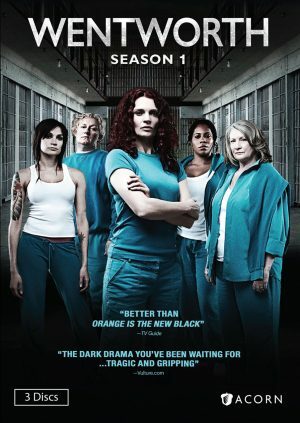 WENTWORTH SEASON 1. (DVD Artwork). ©Acorn. Disney Pixar’s “Finding Dory,” the summer blockbuster hit, swims home just in time for the holidays on Blu-ray 3D, Blu-ray, DVD and On-Demand on Tuesday Nov. 15. Viewers can watch Dory’s hilarious and heartwarming quest to find her family and continue the underwater adventure with hours of immersive bonus features. The animated adventure comedy also is available on Digital HD and Disney Movies Anywhere (DMA). “Finding Dory’s” playful and plentiful bonus offerings include “Piper,” the theatrical short film starring an irresistible sandpiper hatchling; an all-new mini short featuring interviews with Dory’s pals from the Marine Life Institute; a behind-the-scenes look at the most challenging character Pixar has ever created; never-before-seen deleted scenes, including a digital exclusive featuring the Tank Gang from “Finding Nemo” who make it their mission to get Marlin and Nemo to the Marine Life Institute; and much, much more. Academy Award winner Nicolas Cage (“Leaving Las Vegas”) and Russell Brand (“Get Him To The Greek”) embark on one hell of a holy mission in the hilarious comedy “Army of One,” available on Blu-ray, DVD and On Demand Tuesday Nov. 15. Cage plays Gary Faulkner, an ex-con, unemployed handyman, and modern day Don Quixote who receives a vision from God (Brand) telling him to capture Osama Bin Laden. Armed with only a single sword purchased from a home-shopping network, Gary travels to Pakistan to complete his mission. While on his quest, Gary encounters old friends back home in Colorado, the new friends he makes in Pakistan, the enemies he makes at the CIA – and even God and Osama themselves. Emmy Award-winning director Larry Charles (“Borat,” “Bruno”) directed the comedy, based on true events. “Army of One” also is available on Digital HD. 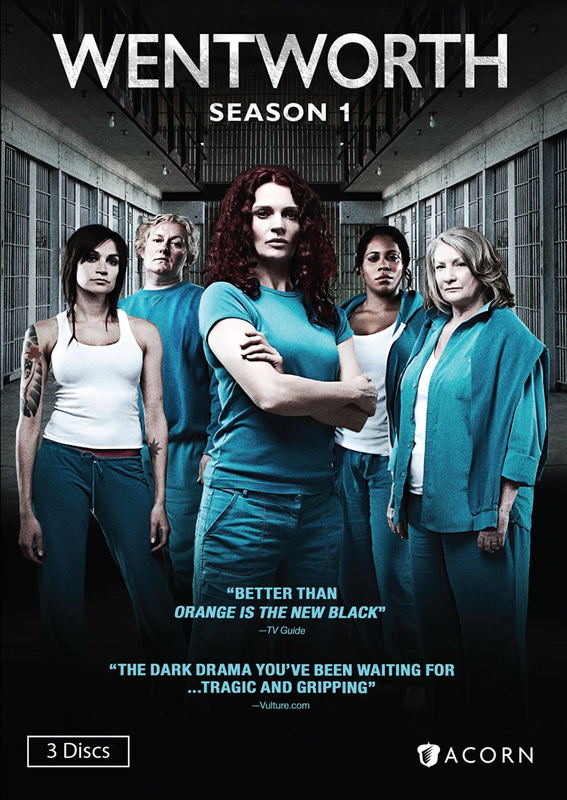 Available on DVD Tuesday Nov. 15, Acorn’s “Wentworth” Season 1 is a modern adaptation of “Prisoner,” contemporizing legendary characters and their stories for today’s audience. The viewer is taken inside to an uncompromising environment that explores the politics of women in a world without men, and how such a threatening experience both challenges and often changes those confined and working behind the razor wire. Starring Danielle Cormack (“Xena: Warrior Princess”), the 3-disc DVD set features more than two hours of bonus features. Available on Tuesday Nov. 15 is the BBC One and Acorn TV drama “The Syndicate: All or Nothing.” The drama follows the downstairs staff at a crumbling stately home of Hazelwood Manor, which has been in the Hazelwood family since the 18th century. When the five remaining staff members win the lottery, the lines between “upstairs” and “downstairs” begin to blur. The ensemble features Lenny Henry (“Broadchurch,” “Othello”), Cara Theobold (“Downton Abbey”), Anthony Andrews (“Brideshead Revisited”), Alice Krige (“Thor: The Dark World”) and Richard Rankin (“The Crimson Field”). XLrator Media will be releasing “The Similars” (“Los Parecidos”) on iTunes and VOD on Tuesday Nov. 15. On a rainy night in 1968, eight people are waiting at a remote bus station for a ride to Mexico City when they begin experiencing a strange phenomenon. Threatened by paranoia and fear, the strangers show the best and worst of themselves as they try to unravel the mysterious condition that is invading each of them like a virus. The sci-fi horror movie directed by Isaac Ezban will also have one-night screenings in Los Angeles, New York and San Francisco. A “Star Trek Beyond” Mondo poster, commissioned by Paramount Pictures in conjunction with Mondo and artist Matt Taylor, is available to one lucky reader to celebrate the Digital HD and Blu-ray release of the film (which is available now). This limited edition poster is not for sale anywhere. So LIKE us on Facebook and email us at frontrowfeatures@gmail.com to enter the contest. The deadline for entries is November 30, 2016. Good luck! Regularly cited by critics, film directors and audiences alike as one of the greatest films of all time, “Taxi Driver” is back on Blu-ray as a 2-disc 40th anniversary edition release—and Front Row Features wants to give you a copy! Featuring the full 40-minute Q&A with Martin Scorsese, Robert De Niro, Jodie Foster and others reminiscing about the classic film at the 2016 Tribeca Film Festival, readers can email socalmovieeditor@aol.com by Tuesday Nov. 22 for their chance to win. Two copies of the release will be given away. Good luck! Next PostPhotos: ‘Finding Nemo, ‘The Syndicate,’ ‘Wentworth,’ More on Home Entertainment … plus a giveaway!